I had the good fortune of finding an airborne folding bicycle on a farm auction last week. The price was really good and the bike itself is almost complete (missing the original front brake and the pedals are postwar replacements). It is actually pretty light considering the materials used in its construction, but I still can't imagine strapping one on my back and wading into shore at Normandy! Or, jumping with one, if I had that qual! When I was young my uncle had one of these bikes...of course, he sold it in a yard sale back in the early eighties. I wouldn't recommend strapping it to your back for a parachgute jump - a common misconception - because that is where your parachute was located. These bikes were sometimes carried by parachutists, but at their side, and then lowered so they would hit the ground first (upside down to protect the wheels) and sometimes they were landed by their own 12' parachute or by glider. I presently have 5 of these (2 first models and 3 second models) as well as two Welbikes Mk. II (both complete with original WD numbers) and a 1944 Willys MB ex-Norway and believed to be ex-British 1 Airborne Division (post-Arnhem. I confirmed with a veteran that they left most of their vehicles in Norway when they came back to the UK. 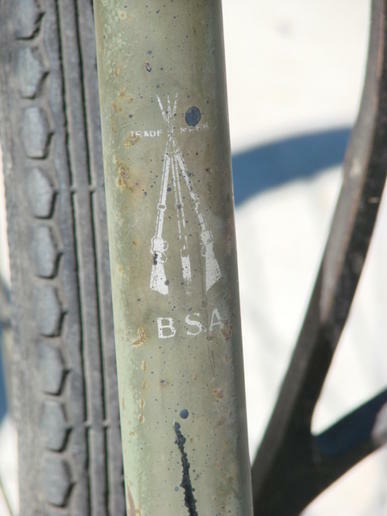 By the way, if the BSA airborne bicycle owners could send me their serial numbers (stamped on right side of frame below where the rear axle pokes out e.g. R12345) and whether there are two thin tubes between the seat and pedals - i.e. first model or one fat tube - second model. 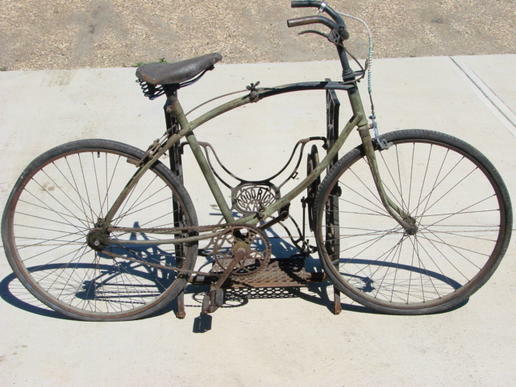 I have a database registers with thousands of military jeeps and lots of Welbikes, BSA airborne bicycles etc. What model seat (usually the BSA Model 40). Some have a metal plate on rear saying B.S.A. If you search the Internet you will find my web site with lots of photos on the BSA Airborne Bicycles. The one shown at the start of this thread is a second model. BSA airborne bicycles were sold surplus in Canada and the USA for about $10 each - MANY years ago, so they can turn up anywhere in North America and indeed they turn up all over the World!